This book is the second volume of essays published in the wake of the Symposium on Audition and Editorial Voices, organized at the University of Copenhagen in 2011 by the International Research Group on Voice in Translation. 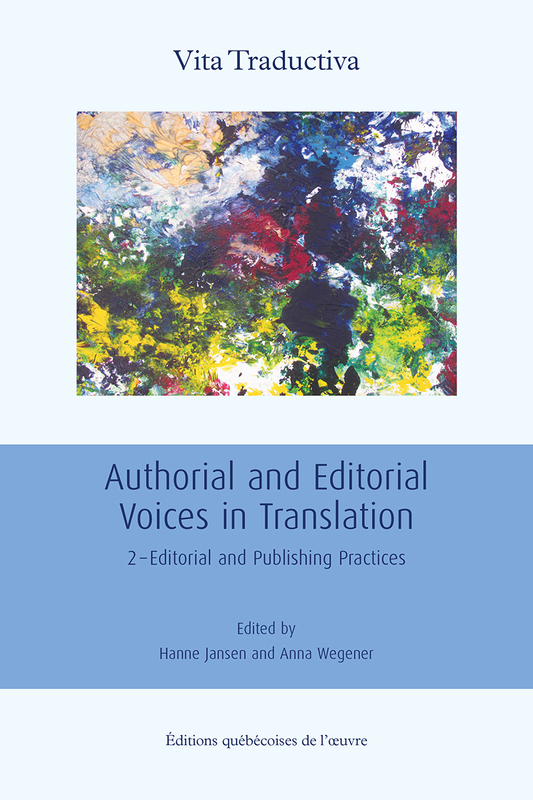 Inspired by the concept of "voice" to illuminate situations where multiple agents interact, this volume contributes tangibly to understanding the processes and practices by which editors and editors can act on translation. These essays deal with modalities of revision in contexts of rewriting, rewriting, autobiography and colonialism, as well as publishers' practices on prefaces, formats, titles and marketing. Collaborators report on empirical research in historical and contemporary contexts involving a wide range of languages including German, English, Danish, Finnish, French, Indonesian, Italian, Swedish and the Turkish.